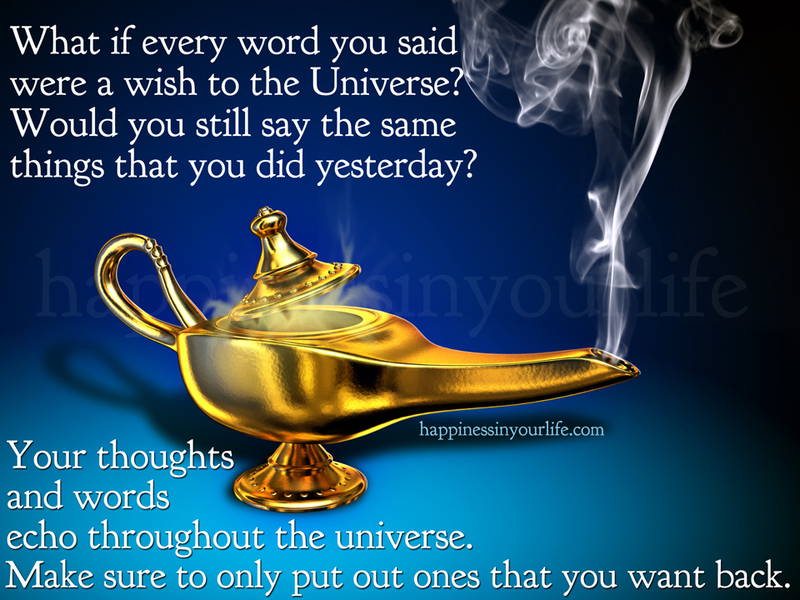 What if every word you said were a wish to the Universe? Would you still say the same things that you did yesterday? Your thoughts and words echo throughout the Universe. Make sure to only put out ones that you want back.